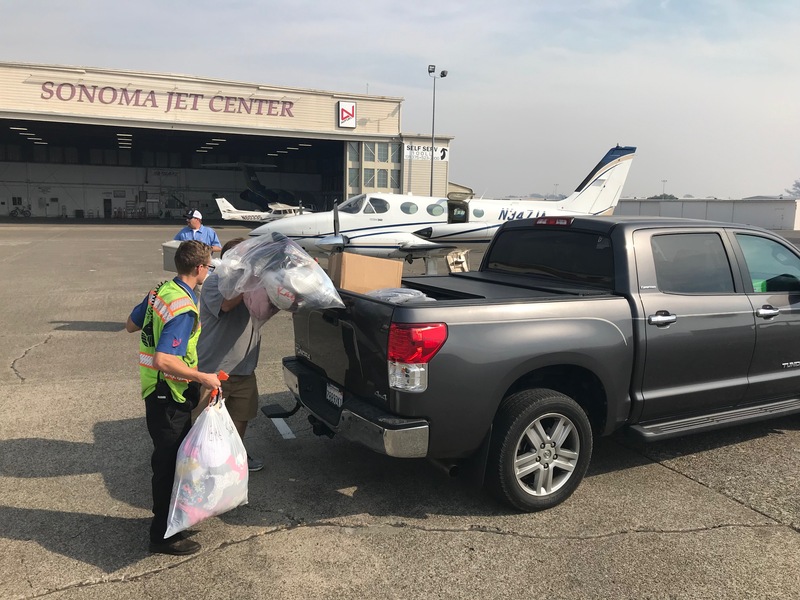 A Citation M2 (owned and operated by Matt Keegan who lost his house to the wildfires), Pilatus PC-12 (owned by Larry Brooke and flown by Jim McCord), and a Cessna 340 (owned by Sonoma Jet Center and flown by Owner/President Josh Hochberg) donated their time and aircraft to pick up truck loads of clothing, consumables, and housewares donations for victims of the wildfires. 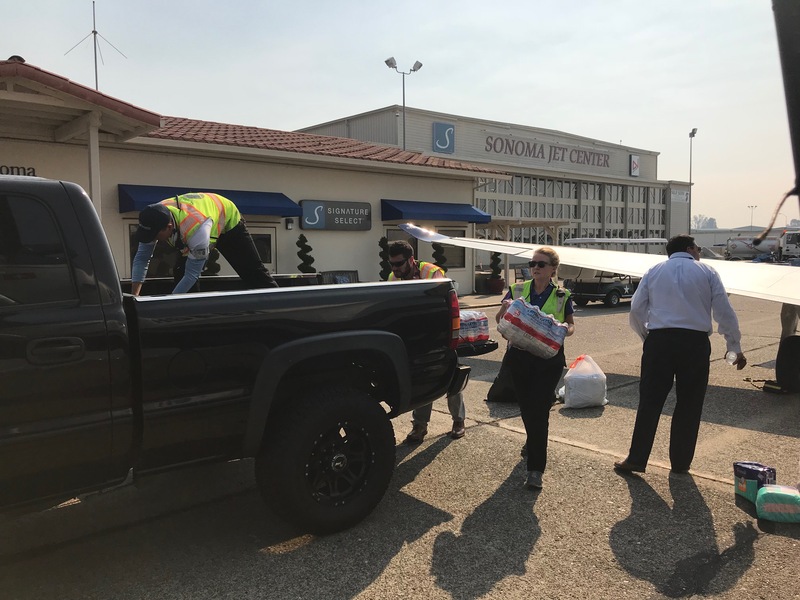 They flew back and forth to Citation’s Sacramento Service Center at KSMF in Sacramento, CA and Signature Flight Support in San Diego where volunteers were stockpiling goods. 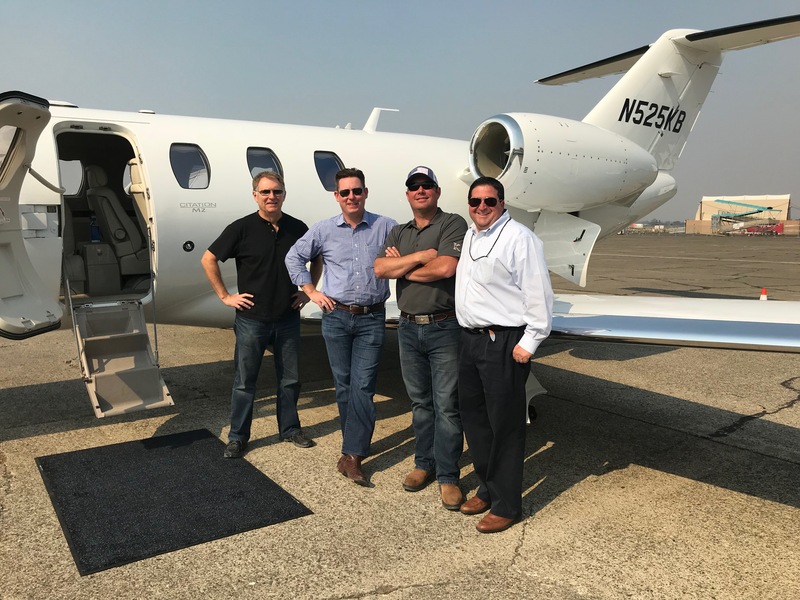 Sonoma Jet Center is proud to support this work and show how business aviation works to support communities. These great efforts were covered by several news stations and newspapers.